The architecture at Yale makes for some awesome photography; it also lends itself to HDR. 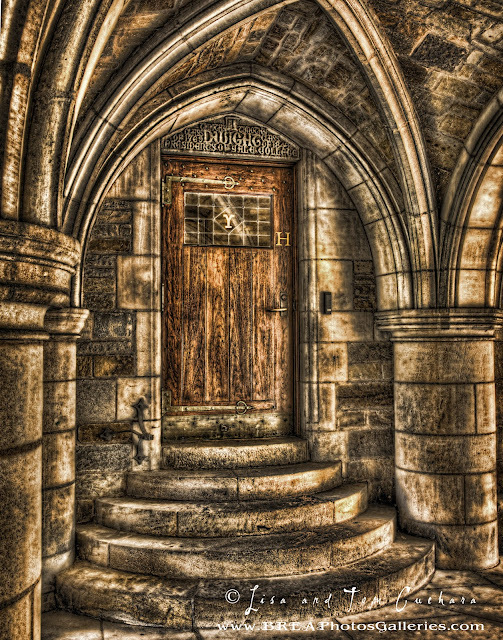 This image of the doorway was created from five exposures and then merged with Photomatix. I love the arches and the texture and color of the door.